After an absence lasting more than 29 years, pantomime is returning to the West End. Great British panto was last seen at the Palladium in 1987, starring Barbara Windsor and Emu in Babes in the Wood. 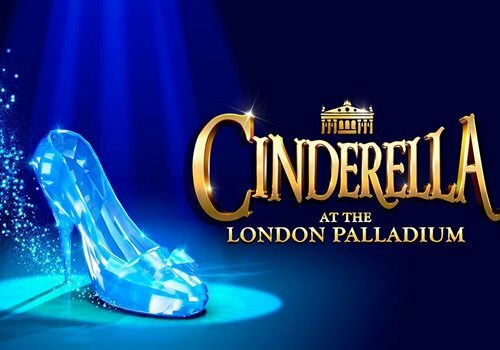 Now, family favourite Cinderella is set to open in December at the London Palladium, promising an all-star cast and a stunningly extravagant production. A classic rags-to-riches tale which has been adapted countless times, Cinderella follows the story of downtrodden Cinders as she dresses, sweeps and cleans up after her wicked stepmother and ugly stepsisters. Soon, it is revealed that the dashing Prince Charming is looking for a wife, so he sends out invitations to all the girls in the land. Poor Cinderella is not allowed to go to the ball, but she soon gets some help from her Fairy Godmother and finds her happily ever after. Of course, Cinderella is given the classic pantomime twist, featuring a myriad of new characters such as Buttons and the Dame, who will provide plenty of raucous laughs. Paul O'Grady is set to reprise his Lily Savage days, playing Cinders' Wicked Stepmother, alongside comedian and novelist Julian Clary, who is to play the delectable Dandini. Lee Mead (Joseph, Chitty Chitty Bang Bang) stars as Prince Charming and is joined by Paul Zerdin as Buttons, Nigel Havers as Lord Chamberlain and Arthur Strong as Baron Hardup. BGT judge, presenter and actress Amanda Holden is set to cast some magic as the Fairy Godmother! Funny Girl's very own Natasha J Barnes stars as Cinderella, alongside Suzie Chard and Wendy Somerville as the Wicked Stepsisters! Cinderella is brought to the stage by Qdos Entertainment, who have successfully produced over 650 pantomimes. Co-directed by Gypsy's producer Michael Harrison and Olivier Award-nominated Mrs Henderson Presents' choreographer Andrew Wright, Cinderella is sure to be spectacular, with a whole host of glittering sets and costumes to thrill and delight audiences. Cinderella features design by Ian Westbrook, with costume design by Hugh Durrant, lighting by Ben Cracknell and sound by Gareth Owen. Opening for the festive season on December 9th, Cinderella is set to run until January 15th 2017 at the London Palladium. Cinderella promises to be a family festive treat, packed full of plenty of laughs. Don't miss out!